The toys-to-life concept has been around for a while now and with Starlink: Battle for Atlas comes Ubisoft’s foray into something that can be a very lucrative market. We have seen some very successful toys to life games over the years, but can Starlink deliver the goods and capture our hearts and minds? To answer that question, we’ll have to head out to Atlas to have a look. What’s it about, and how does it work? 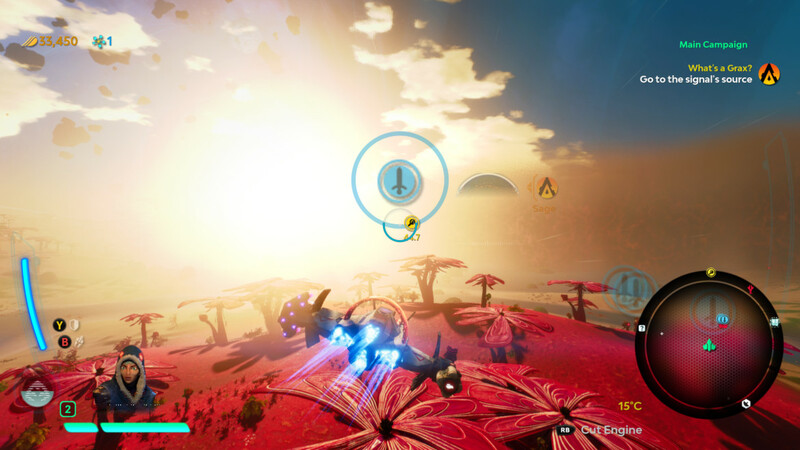 Starlink: Battle for Atlas is an open world space shooter sandbox that takes place in a distant star system called Atlas. It has a dock that you attach to your controller in order to bring the toys you’re using to life in your game. Whatever you have connected to your controller will be represented in the game. Everything is modular, so you can attach different characters, ships, wings and weapons to suit your playstyle or the situation at hand. It is a very cool concept and it works very well. Everything is modular, so you can attach different characters, ships, wings and weapons to suit your playstyle or the situation at hand. It is a very cool concept and it works very well. 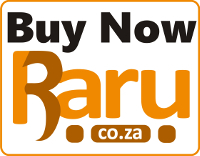 The toys itself are very well made and look to be decent quality. 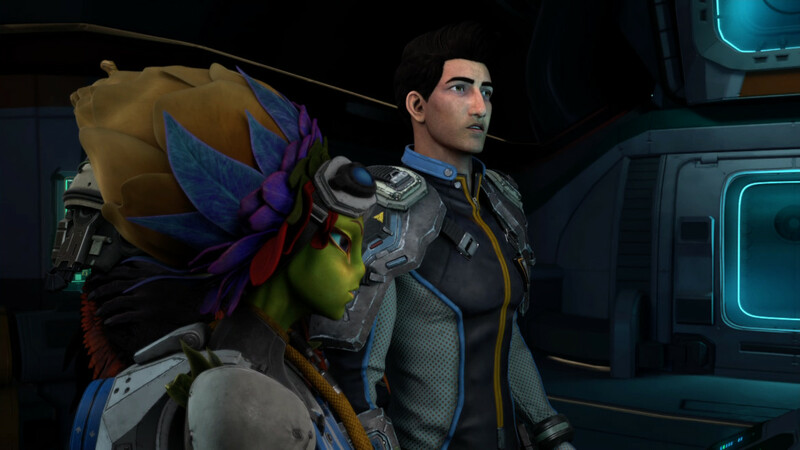 The character models look very nicely painted, and the ships have a lot of detail to them. The only thing that bothers me a bit is that the pilot which pose on their stands might be a little bit flimsy, and it should be handled with care. 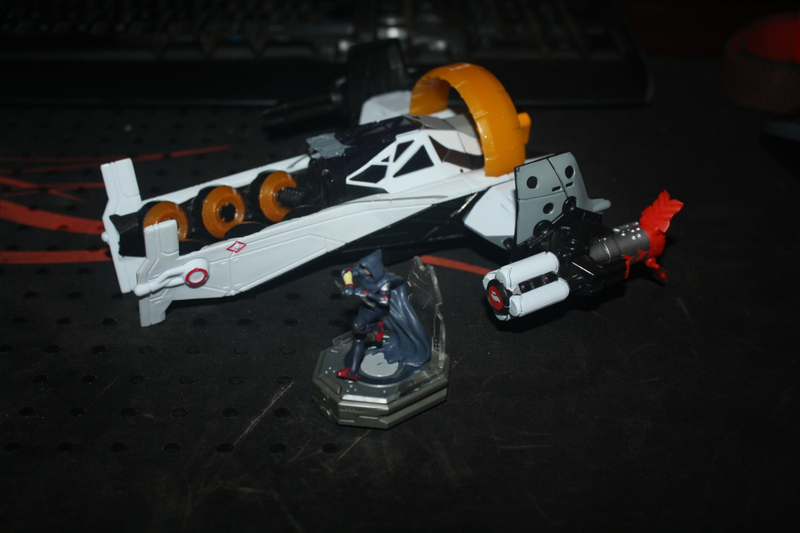 In terms of how the toys play, and how it translates to screen I can confirm that it works really well. The starter pack comes with one ship, one pilot, the docking station that you snap onto your controller and a couple of weapons that you can use. The game explains very well how everything fits into place, starting with the pilot, then the ship, and then the weapons that you will be swapping out on the fly throughout the entire game. As I mentioned, it is very modular, so everything fits with everything, and swapping out a weapon is as quick as you physically can do it. It works incredibly well and can be a lot of fun. The only issue I have with it is that it makes the controller significantly heavier, and after an extended session of play, you’re definitely going to start feeling tired and somewhat annoyed. Another thing that annoyed me a bit was that the headphone jack on the Xbox One controller gets covered by the dock, so if you’re a person playing with headphones, you might have to try and find an alternative. 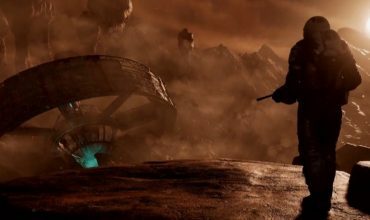 The game takes place in the fictional star system of Atlas where a group of heroes called Starlink travel to from Earth, upon arrival, they realise all is not well when they encounter an enemy called Grax and the Legion, which is hellbent on taking over the entire Atlas. Starlink then sets out to save the day. It is your standard fare in terms of a story which is aimed at a younger demographic, but it is decent and entertaining enough. This being a Ubisoft game, you can expect it to be quite an open world, and in this case, it is about as open as it gets! You get to explore an entire system of planets and locations, which can feel a little bit intimidating at first, but it doesn’t take too long to get the hang of it. The main gameplay loop sees you trying to push back the legion in each sector and planet, while at the same time strengthening your Allies in order to make fighting the Legion easier. 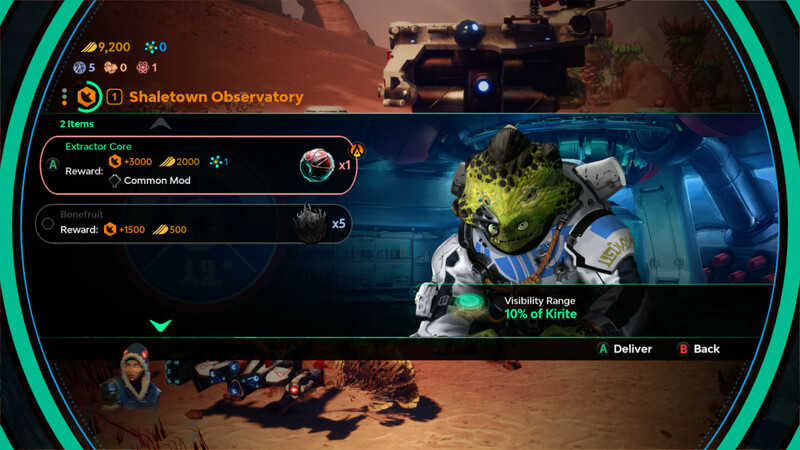 You gather resources in order to build outposts on each of the planets, that helps you accomplish these goals. Each of the planets has a hierarchal structure, where you need to clear out a few Legion Extractors (which extract Nova, a currency in the game) in order to take on a Prime, which feeds the sector’s Dreadnaught. At the same time, you need to clear out some areas, set up defences and put things in place in order to progress and become stronger. 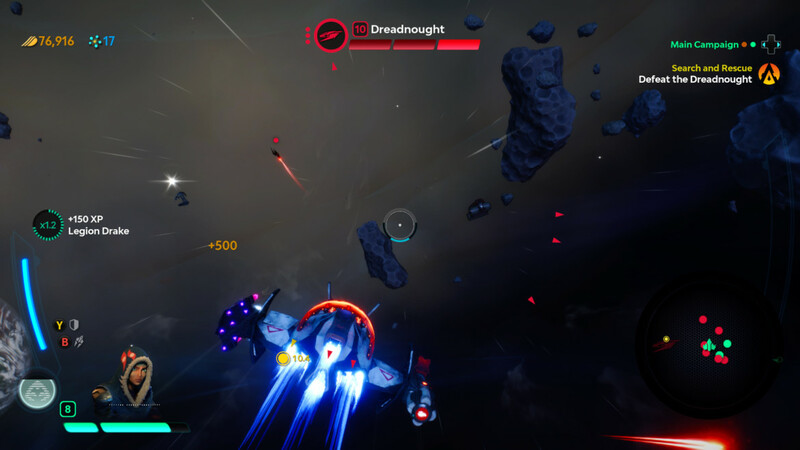 It brings an interesting tactical element to the Starlink, but bear in mind that it is aimed at a younger market, so it’s not something that’s going to make you sweat too hard unless you crank up the difficulty. 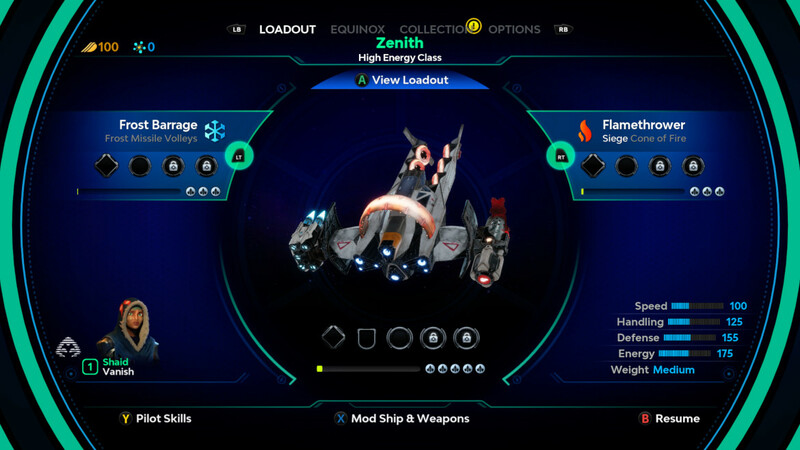 Starlink does have a decent enough levelling system as well, where you level up the pilot, which have different abilities from each other, as well the weapons and ships though mods that you collect throughout the world. Different mods give the weapon or the ship different perks and advantages. You will be fighting the Legion and Outlaws in both space battles and ground combat and using the correct weapons for the job will be key to your success. Most of the enemies you face have some sort of an elemental power to them, and in order to fight them effectively, you need to counter attack them with the opposite. So a fire elemental Cyclops will be susceptible to ice weaponry and so on. The game however often throws multiple elemental enemy types at you at the same time, and you constantly have to physically swap the weapons in and out on your toy ship, and while initially pretty cool, it started getting a bit annoying at later stages since it kinda breaks to flow of combat and gameplay a bit. 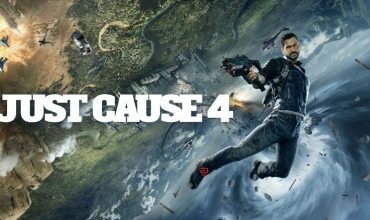 Overall the experience is pretty decent with plenty of fun to be had, but I do have a few issues with the game and concept in general. First off, the gameplay becomes very repetitive, very fast. While the different planets all offer different environments, it doesn’t bring in too much variation in terms of gameplay. Each one of them has the same type of missions, outposts, NPCs and things to do. There’s also very little difference in terms of enemy types, with about six or seven in total including the boss type Primes, which are all almost identical in how you fight them. The only difference in enemies you face are the elements that come into play, but that is about it. The other issue I have is about the overall structure of the game in general which causes it to become a tad boring and repetitive. Everything you do is linked to the toys you have connected to the controller, if you only have one pilot, you are limited to that pilot and its abilities. Same goes for the ships, the weapons and everything. This means that gameplay by its very nature is kind of limited to the toys you have available to you, and if you want to flesh it out, you will have to spend more money to buy the different ships and weapons and pilots. It doesn’t help that the gameplay of Starlink, although a huge map, feels a bit dull and repetitive, making it slightly harder to justify buying new toys to augment the experience. It doesn’t help that the gameplay of Starlink, although a huge map, feels a bit dull and repetitive, making it slightly harder to justify buying new toys to augment the experience. Starlink: Battle for Atlas is a game targeted towards a younger market, and a part of me knows that 12-year-old me would’ve absolutely loved it! Yes, the gameplay is not the most innovative, but the way the toys work within the game is quite something and will definitely entertain children. Considering the price point of the ships and what new games cost, it might be worth looking into if you’re looking for getting it for your children, as it kind of hits two birds with one stone. Hopefully future content and games in the series will remain compatible since it will definitely help the longevity of a potential franchise. Also just bear in mind that each platform has a different dock that connects to the controller differently, so be sure to get the correct one for the console of your choice. There’s a lot of potential for Starlink: Battle of Atlas. 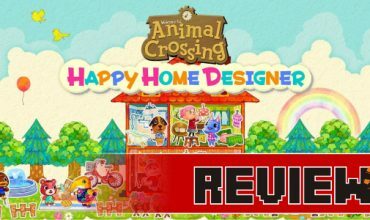 The characters and story are fun and entertaining, and the gameplay, although repetitive, is decent enough and if it gets a bit of attention going forward, then we might have something quite special on our hands. 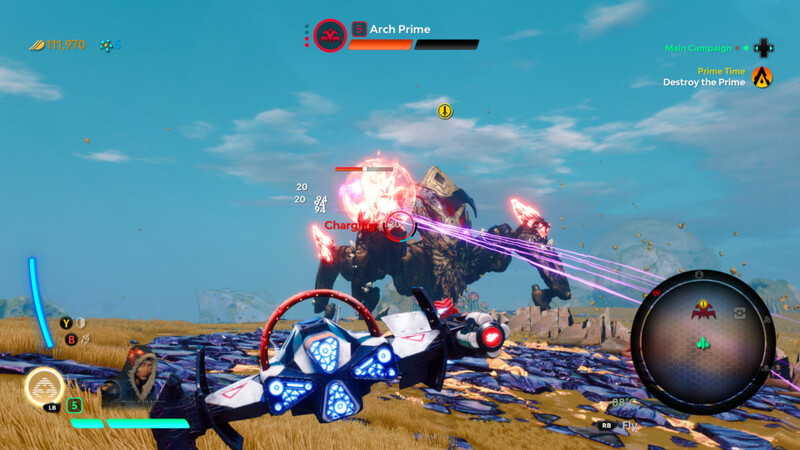 Starlink: Battle for Atlas is an open world space shooter that is aimed at the younger market by combining toys with gameplay in an interesting way. Actual gameplay is not groundbreaking and gets repetitive after a while, but the way the game integrates with the toys at your disposal is quite innovative and fun, provided you have enough options available.